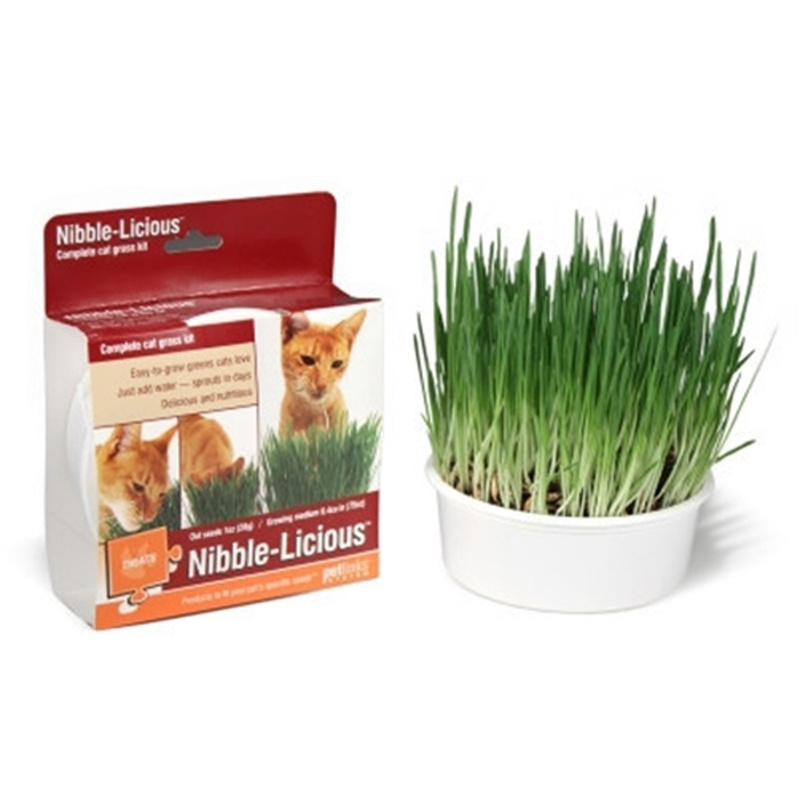 Petlinks Nibble-Licious™ Kit has a complete cat grass kit that is a nutritious, easy-to-grow treat for cat is sure to enjoy! Keep your cat out of your other house plants with their own Petlinks Nibble-Licious Kit Cat Treat. 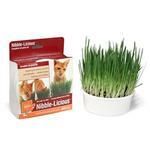 Nibble-Licious is an easy-to-grow natural treat that produces lush oat grass which is delicious and nutritious. Add water and watch the seeds sprout in days! Many veterinarians believe cats crave a grassy treats as it adds roughage to their diets. Extra Nibble-Licious seeds sold separately!